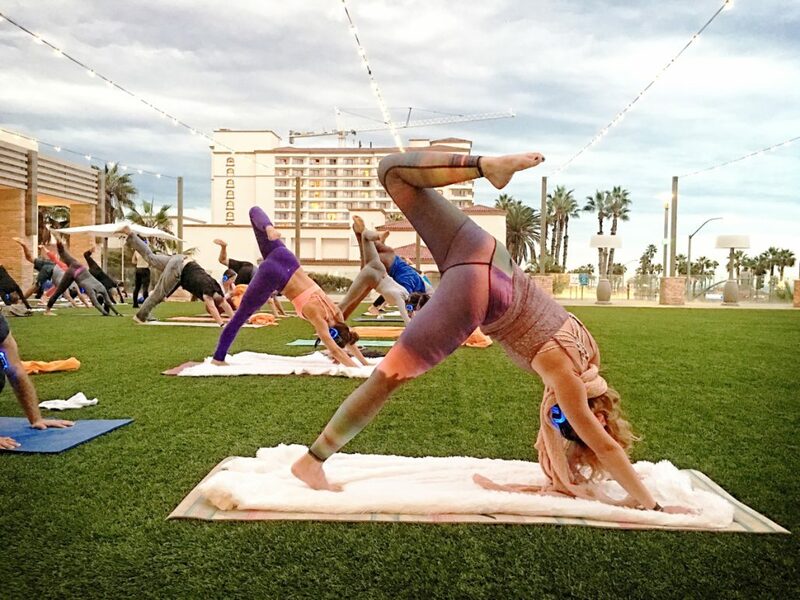 A Sound Off Yoga class is pretty much like your typical vinyasa flow class, except you wear a wireless headset through which you can hear your instructor as well as deep house music mixed by a live DJ. The instructor is present in the room, but doesn’t have to be amplified, because you can adjust the volume of the voice and the music, right on your headset. The noise-isolating headphones also block out ambient noise, minimizing distractions. “It’s very cool. People say they’ve never felt so connected to the instructor before,” says Castel Valere-Couturier, Sound Off’s CEO. The headsets also have three audio channels, permitting Sound Off to produce multiple fitness events in the same space at the same time, and change colors based on what the user is listening to, so you can tell who’s listening to what. Join the Xanadu oceanfront Sound Off™Yoga session at the all-new beachfront Paséa Hotel & Spa. 14 Ways You Can #CrushPlastic in Your Daily Life Connected. Centered. Community.